Windows error 815 occurs when a Windows computer fails to make a DSL connection. This code replaces traditional error codes 676, 678, 691, and 769 from Windows XP, and no less than four different causes trigger it. 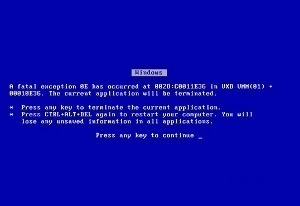 The error’s four possible causes include DSL server problems (or an indicator that the phone line is busy), a username or password error, an unreachable destination host, or an unresponsive remote computer (general connectivity error). There are several troubleshooting steps that can be taken in order to attempt to fix Windows error 815 and connect to the Internet. Step 1 – Select “Start” and “Settings,” then click the “Control Panel” icon. Step 2 – Choose the “Classic View” menu option located on the left-hand side of the screen. Step 5 – Restart the computer. While it is restarting, reset the DSL modem. Step 6 – Open the Internet browser and attempt to connect to the Internet. Step 7 – If the computer fails to connect to the Internet, check whether McAfee anti-virus is running on the computer. McAfee anti-virus sometimes triggers Windows error 815 on computers running Vista. 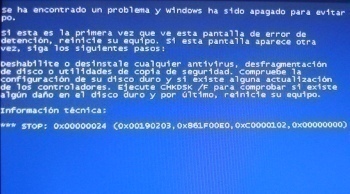 If McAfee is installed, press the “F8” key numerous times during the computer restart in order to restart the computer in Windows Safe Mode. Attempt to connect to the Internet after the computer has restarted. computer’s Control Panel and restart the computer in order to uninstall McAfee. Step 9 – If the computer still cannot connect to the Internet, contact the Internet Service Provider as the problem might be the Internet service itself. 320 queries in 0.369 seconds.